SABPP and HR Future are entering the next phase of the HR Standards Journey and that is to convert the overall HR management system to specific HR practices. In other words, the focus now is on reworking the overall HRM system into particular HR practices. These practices refer to the day-to-day professional work of HR professionals as part of the HR functional architecture. While HR professionals have tended to preach to line management how to manage people, this is the time for HR to rise to the occasion and getting our house in order with clearly defined HR practices. The principle of consistency is once again very important. If you ask five HR consultants to provide you with proposals on how to do succession planning in your organisation, you will probably get five vastly different proposals and still not know where to start. Thus, defining and outlining a generic national standard on HR practices empowers HR professionals and management teams with proper frameworks of positioning and applying professional HR practices in their organisations. 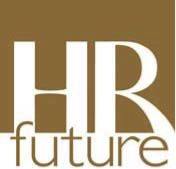 In essence, HR practices such as succession planning and career development programmes are needed to strengthen the HR Management system, and to ensure that the 13 Standards elements are implemented in the workplace through targeted HR practices. Hence, these practices do not duplicate the 13 HR standards elements, rather they strengthen and reinforce the overall system. In addition, the professional practice standards ensure that the needs of all HR professionals are catered for, despite their area of specialisation. While the three strategic HR standard elements, i.e. Strategic HR Management, Talent management and HR Risk management are the responsibility of HR Directors, and the seven functional HR standard elements the domain of Heads of HR specialisations such as OD, Reward and Learning, the professional practice standards take the system down to the level of all HR practitioners, irrespective of their seniority. For instance, a Learning & Development specialist will now have clear professional practice standards in all the major areas of this sub-field (e.g. training needs analysis, learning design, facilitation and evaluation). The Professional Practice Standards will also showcase how the HR profession has evolved and matured by developing new standards in areas such as knowledge management, on-boarding, organisation design and employee engagement. Moreover, it will also standardise approaches to current challenges in areas such as absenteeism management, leadership development and change management. Two standards will focus on addressing the current poor progress in the critical area of employment equity by drafting two specific standards in this area, i.e. diversity management and employment equity in an attempt to professionalise current approaches to transformation. While the HR Management System Standard was successfully developed last year and attracted interest from all provinces and 14 other countries, now the key focus is on the HR professional practice standards. These standards were developed on 14 May 2014 to provide practical guidelines for HR professionals and line managers in applying these standards. Round table discussions were arranged for each one of the 30 HR professional practice standards, and HR specialists generated these standards at these tables. We are now in a phase of a two months consultation period, after which the final HR professional practice standards will be launched at the second annual HR Standards Conference at Sandton Convention Centre on 28 August. In conclusion, building on the momentum and successes of the National HR Management System Standard launched last year, this quarter the HR standards journey continues. SABPP is building on the HR Management System Standard by developing 30 HR professional practice standards to ensure that all specific HR practices are standardised for the purpose of reinforcing the HR Management System. This will create a renewed focus on consistency and standardisation of HR practices in support of the National HR Management System. It is an opportunity for HR professionals to practice what we preach – sound HR practices, from recruitment to dispute resolution. The increased clarity, consistency and professional focus and status of these standards will further elevate HR as a true profession with clear standards like many of the more mature professions. Essentially, the professional practice standards will guide the daily work of HR professionals, and help us to practice what we preach as the professionals managing sound HR practices in the workplace.